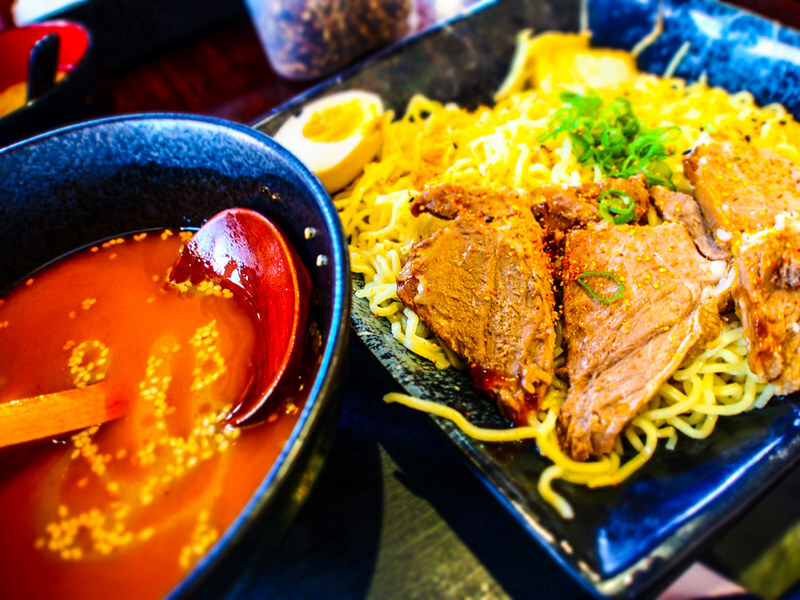 Who wouldn't be familiar with Ramen? 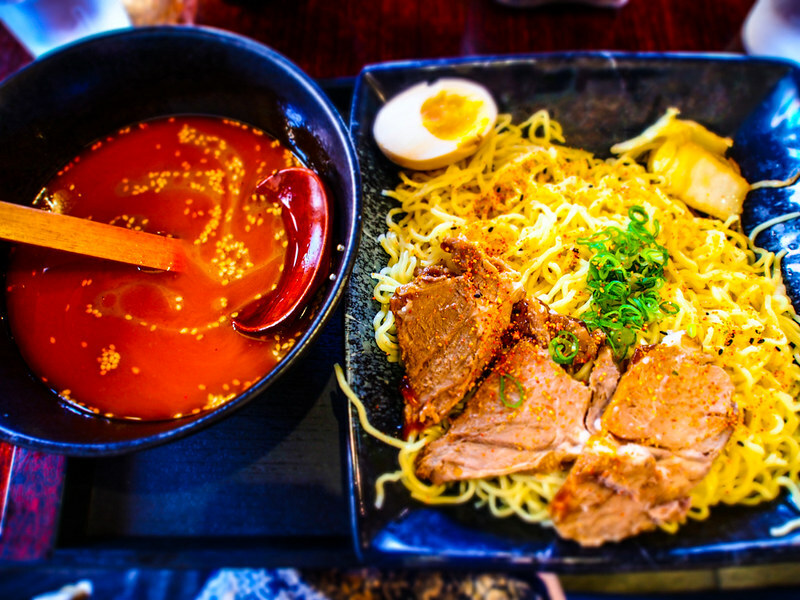 : Japanese noodle soup dish, usually served with Chinese style noodle, arguably most popular with thick chashu pork pieces for the carnivores (although there are a lot of options for toppings - ranges only limited by the chef/ramen joint), to plain seaweed or green onions for the more purists. The soup stock can generally be categorized into four type (trust me, I looked up Wikipedia :P): Shio (salt based), Tonkotsu (pork based), Shoyu (soy sauce based), and Miso. With these four, and sometimes combination between them, it caters to a lot of different tastebuds. Lately I have been on the hunt for good ramen around Sydney - but not just your usual Ramen noodle in soup: I seek for the perfect Tsukemen. 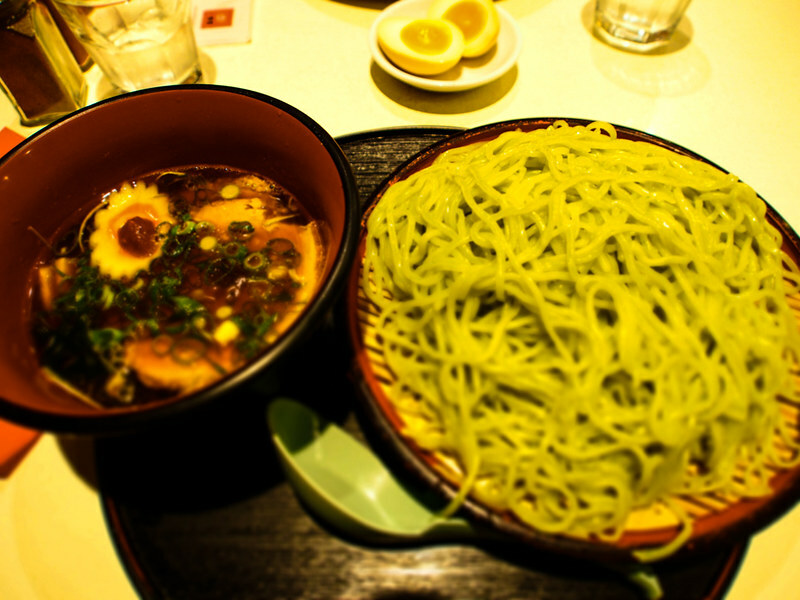 Tsukemen is a type of Ramen where dry noodle is served with usually thicker (more condensed and intensely flavoured) soup stock to be used for dipping. And from my adventure, apparently it's very hard to get this right. Some joints have the soup stock too thinly flavoured, some too strong, and some are just... well ... not worth mentioning. There are two places that I have visited but do not put on a review here. One is because it's very disappointing I don't think it's worth a review, the other is pretty decent, but I didn't bring my camera. 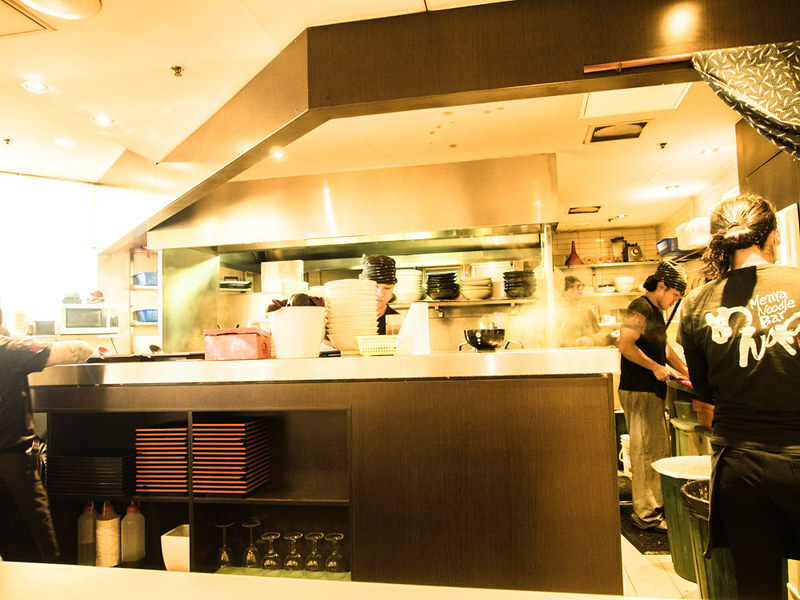 One that disappointed me: Ryo's Noodles (125 Falcon St, Crows Nest). Their tsukemen (A$15) is served with cold soup. While the serving was very generous (lots and lots of noodle, served with good chashu, not very good egg - it was very hard-boiled, not the half-cooked type I am accustomed to, bamboo shoots, and nori sheets), the soy based soup was quite thin and hardly tasted of anything at all. 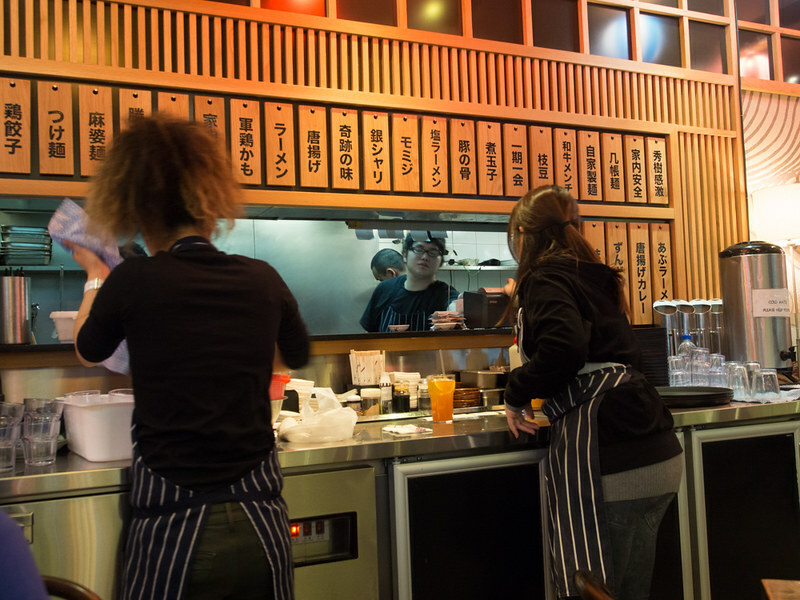 Gone are the days where I got so excited making a trip to the northern part of Sydney for good ramen. Maybe it's because of the constant queue and demand, maybe it's something else - their ramen (even the much loved Chijire Tonkotsu Spicy Ramen) do not appeal to me anymore. The other place that I tried but did not take pictures of is Ramen Ikkyu (Shop F1A, 401 Sussex St. Food Court Chinatown): their tsukemen (A$14) is served with soy based soup as well, but I found this a much better version than Ryo's. Adequately flavoured as much intense as soy based soup could go. 1/2heart found it too salty though, and somewhat I agree. However, this soup is not meant to be drank straight up. It's meant to be used as dipping 'sauce' for the dry noodles. Karami Miso Tsukemen - At $10.90, the most economical tsukemen with decent flavor. The soup is chicken and miso based, so it is somewhat light but still have adequate flavor to dip your noodles into. Perfect ni-tamago (egg) with half-runny egg yolk. 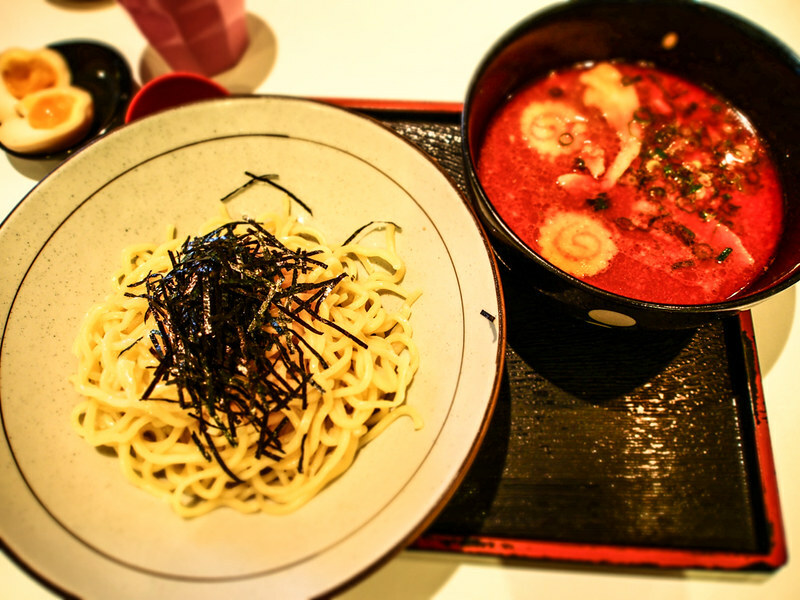 You can also choose between thin or thick noodles. 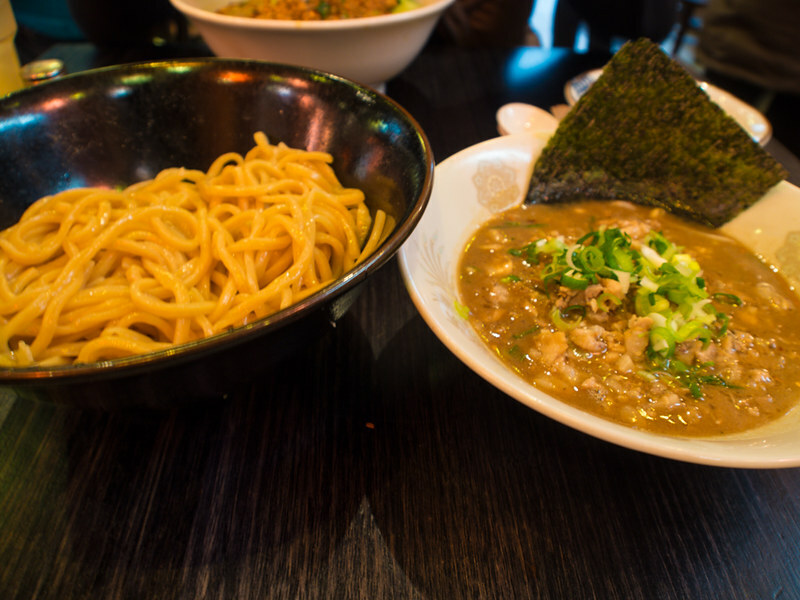 Whilst I'm on tsukemen quest, 1/2heart loves ramen too - specifically the ones in black garlic oil. 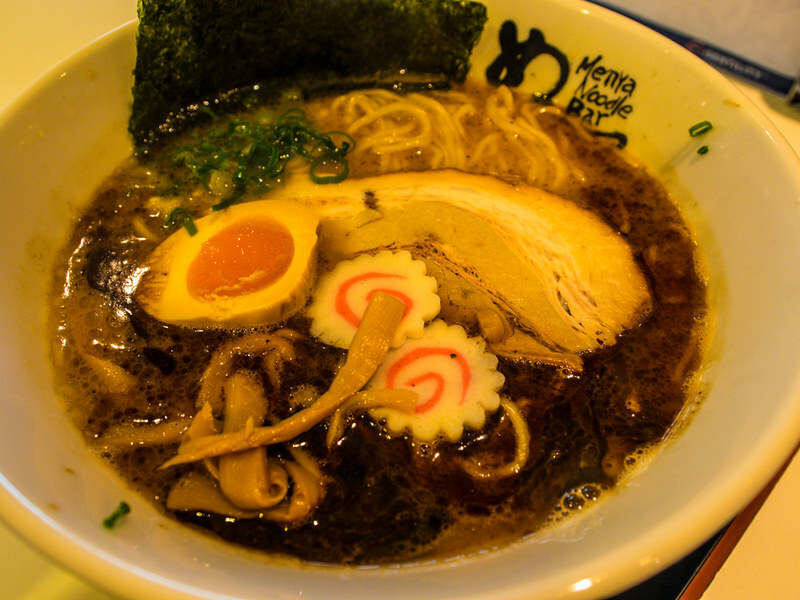 So It's worth mentioning that Menya also does good Black Garlic Oil Ramen. I could totally taste the smokiness and smell the lovely aroma. They have two versions of tsukemen (both A$10.50), and I chose the Spicy Tsukemen. The soup is pork based and the noodles came with generous pork pieces (more generous than Menya's, though not as tender). Good consistency of noodles as well, however the soup flavor was a bit flat for me. Since it's pork based, I expected this to have more depth to it. 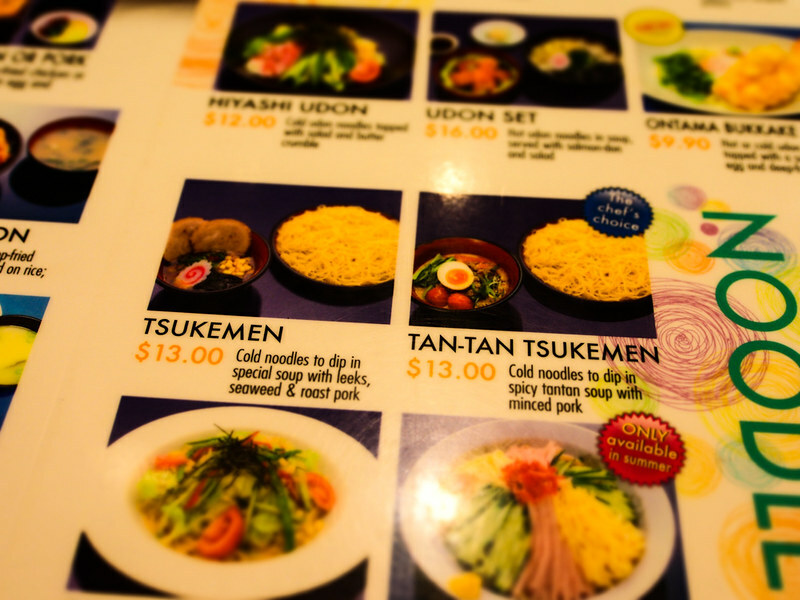 When I was there, they did not have the Tan-Tan Tsukemen (boo), so I ordered the normal Tsukemen instead (A$13). BUT! The dish did not come with ni-tamago (double boo! ), so had to order that as a side. 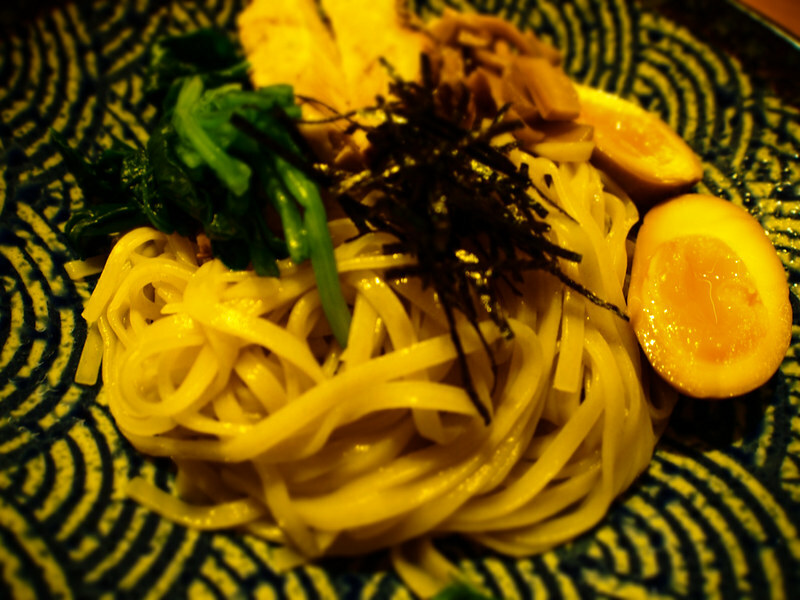 You can choose to have spinach noodle instead of the normal (yellow) noodle, though - so I did just that. Good Noodles, OK soup (not enough packed with flavor IMO), not enough chashu (only one thin sliver of pork)! This is another always-packed place. 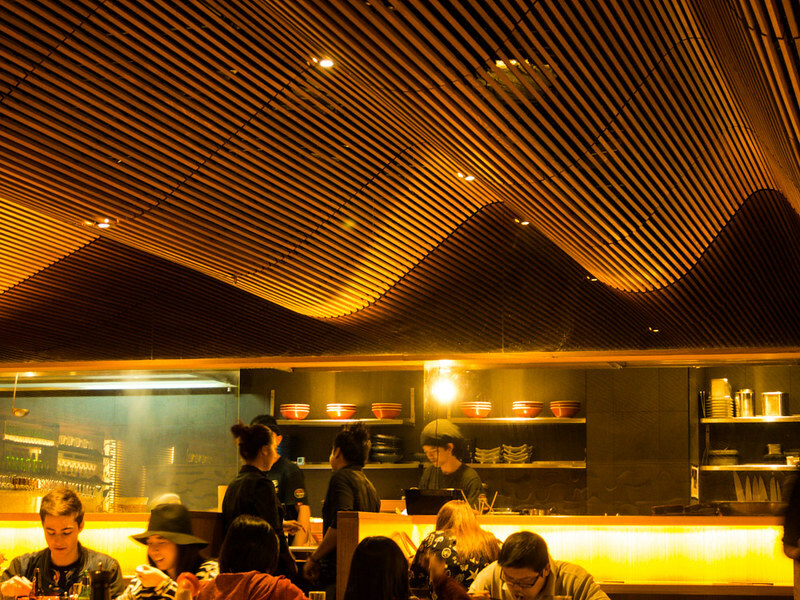 Their ramen are always good and consistent in quality and taste. If you came here during lunch or dinner hours .... good luck. Sometimes the line outside could make my stomach cry. 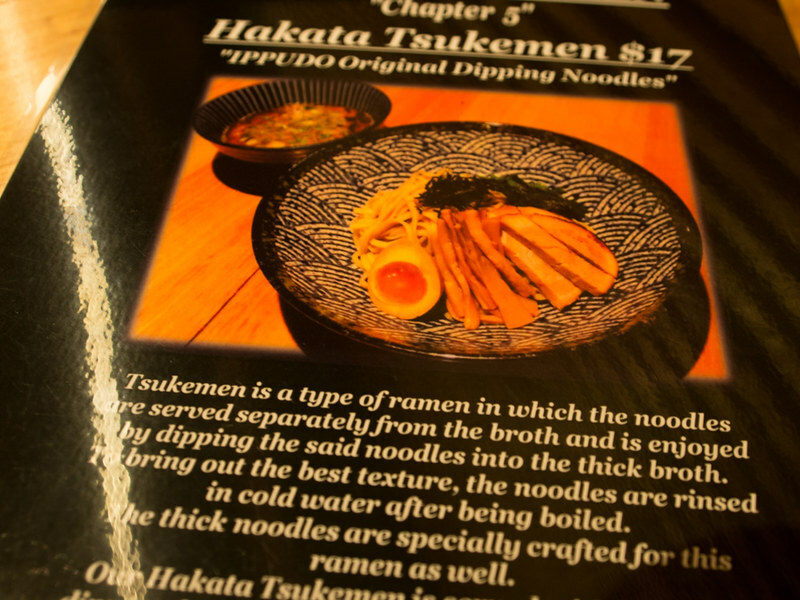 Price wise, it is the most expensive Tsukemen I have ever tried (A$17). Good noodle, great thick chashu, and the flavor is intense. Too intense, infact, for my taste. A pity for me, because the myriad of flavour combination in the soup - pork and bonito based broth - can actually be really good. In fact it would be perfect if they notched it down a tad. 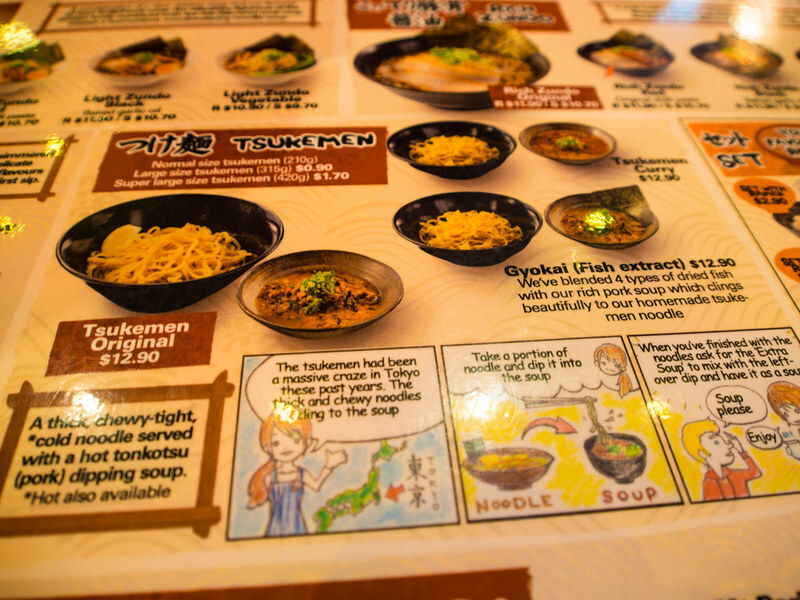 Their tsukemen is limited-time/seasonal only though, so you may not find it the next time you dine there. 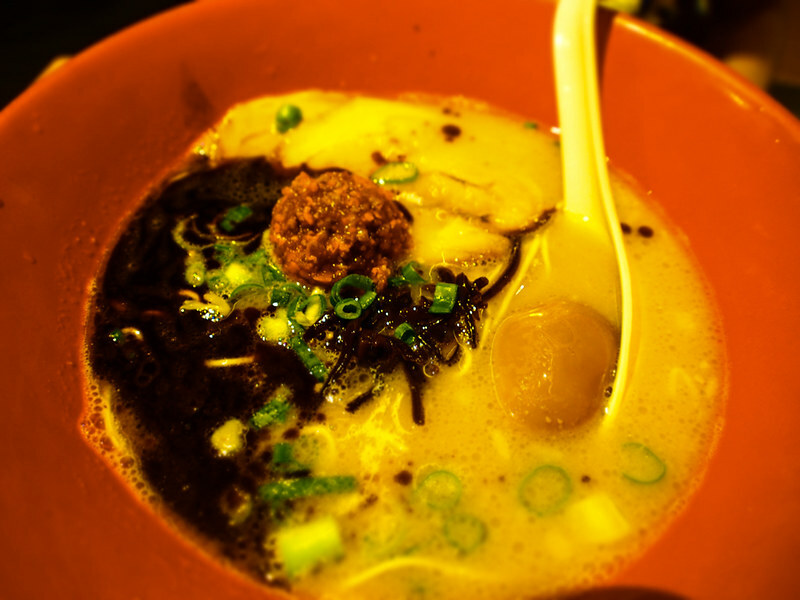 1/2heart would like to note that Ippudo's version of black garlic oil ramen is the best. It is expensive though (A$17 without egg, A$19 with one). 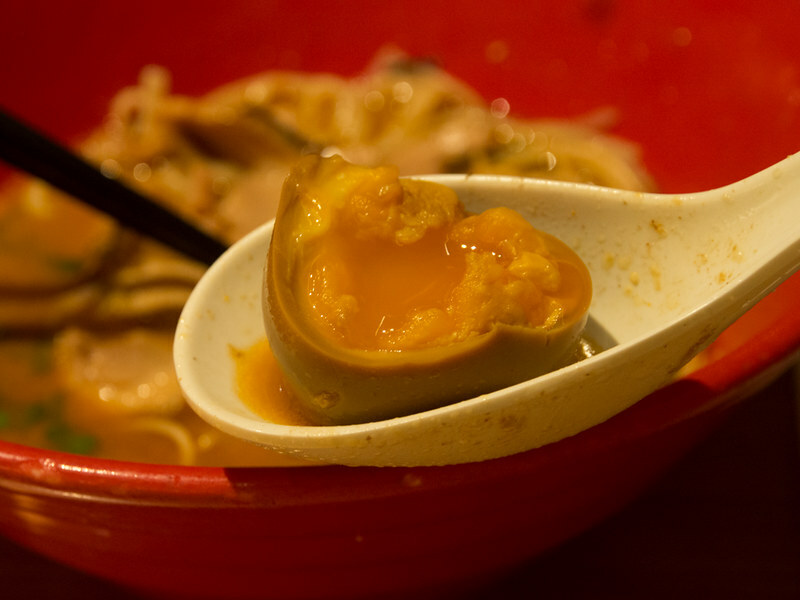 Ippudo makes perfect ni-tamago, look at this beautiful curve leaking with golden yolk goodness. Saving the best for last - my favourite tsukemen joint (and any type of ramen in general). 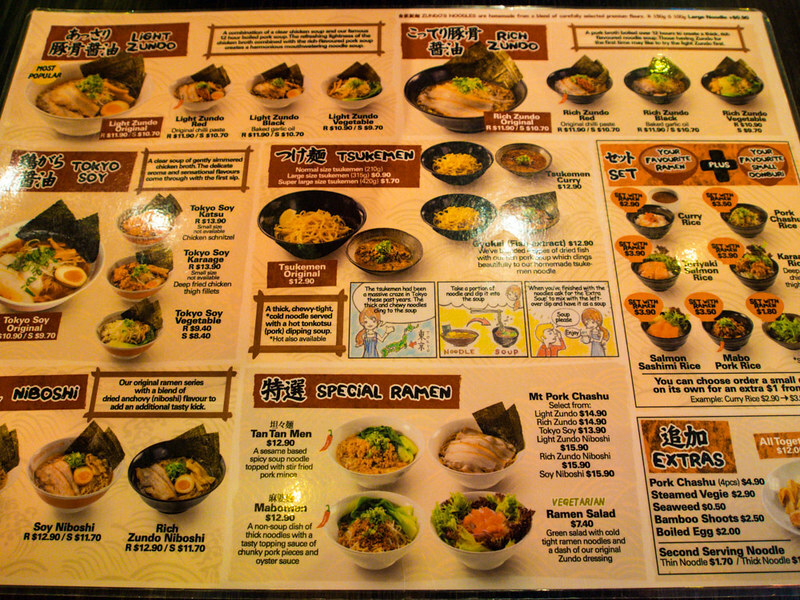 They have three type of tsukemen - all pork based. You may try the original version, but ever since Zundo started serving the Gyokai Tsukemen (A$12.90), this is my favorite tsukemen, Ever. By Far. With Gyokai version, the soup is infused with dried fish (4 types apparently, but hey who would have counted) and the thickness and flavor of the soup is just right to properly infuse the chewy thick noodles. 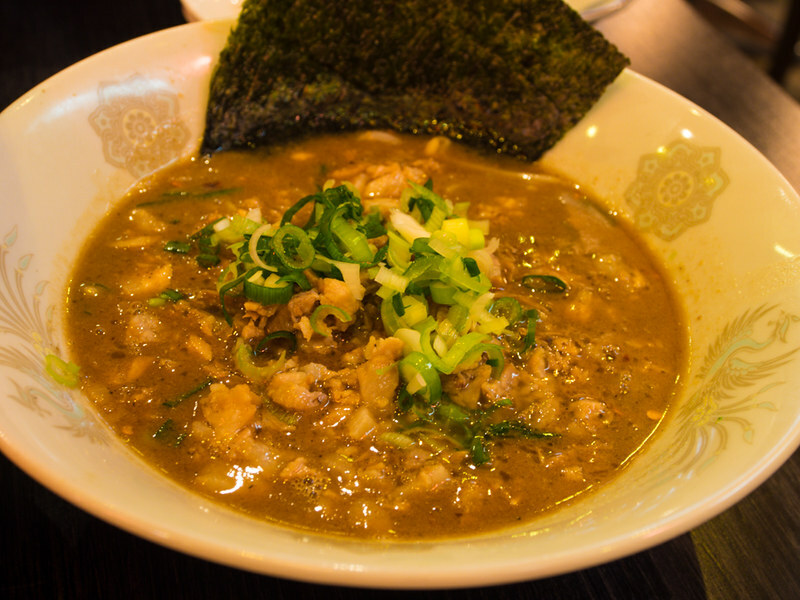 The chashu pork are also diced into smaller pieces and incorporated in the soup. It just added that much extra flavor when they hit your tongue. Just beautiful. If Ippudo's version is too intense, this one is just perfect. You can also thin down the dipping soup a bit by asking the waitress for extra soup. The tsukemen does not come with ni-tamago though... :( So had to order on the side to make this a truly perfect meal for me. 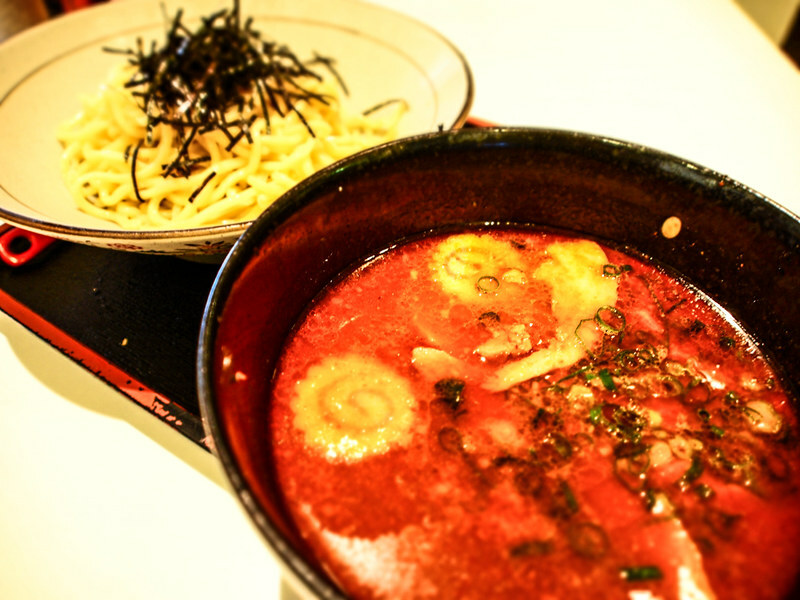 1/2heart would also like to add - although he thinks Ippudo's version is (slightly) more superior, he thinks Zundo's Black Garlic Oil Ramen (Rich Zundo Black or Light Zundo Black. Go Rich, I'd say) is great value for money and actually very tasty. 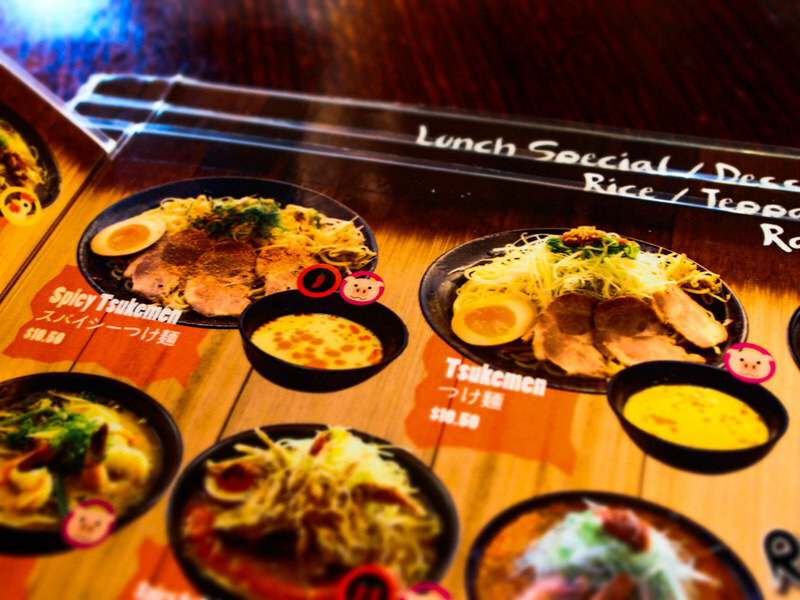 In fact, in a normal course of day, he'd choose Zundo's over Ippudo's. 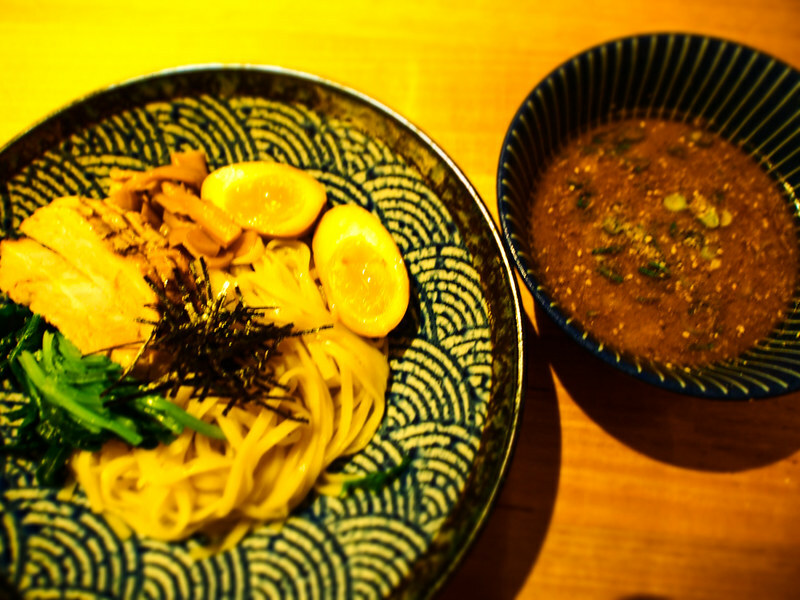 And thus hereby my tsukemen quest (ongoing) for now. 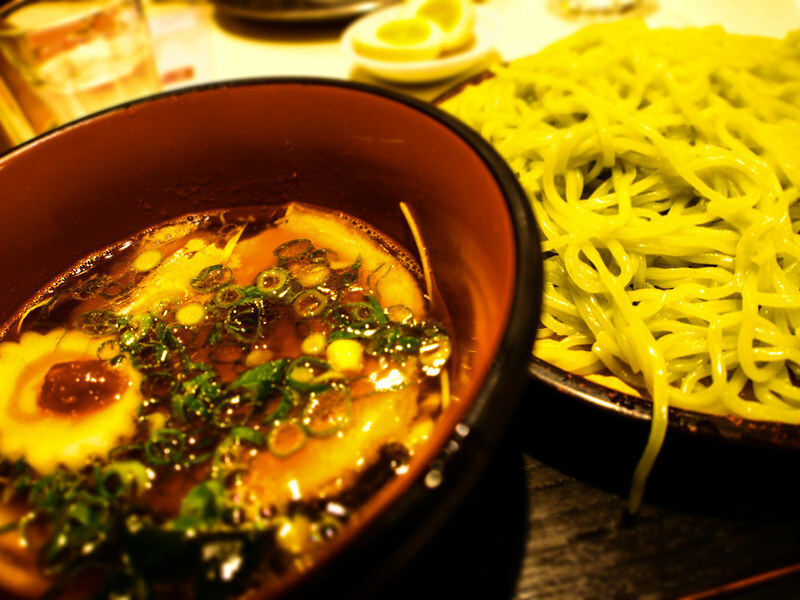 I wonder if I will taste a better tsukemen than the one I have had at Zundo in Sydney or elsewhere... .
amazing. thank you very much for the review. 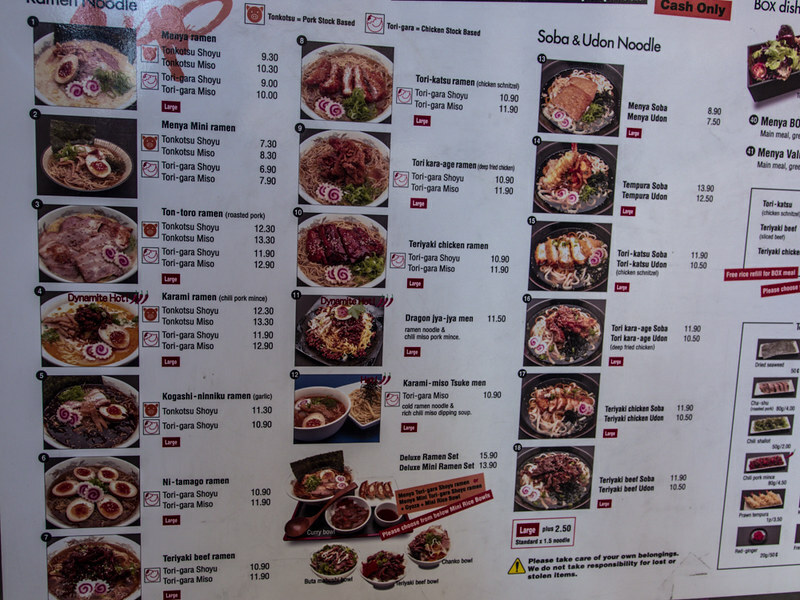 just came back from japan and wanted to find out where the best tsukemen is in sydney1! Awesome post. I get mad tsukemen cravings since trying fuunji in japan. I frequently go to ramen zundo as it is close to my work but i always get original or spicy.i will have to get the fish extract one next time !